We have complied a comprehensive list of insurance terms and their definitions to help you better. Do keep in mind that our terms and definitions are intended for information purposes only. Accident must be caused by violent, external and visible means and cause of the injury or injuries solely and independently of any other means. Benefit, which provides for the payment of an additional sum (usually equal to the sum insured of the basic policy) in the event of death by an accident. A flood, snowstorm, an earthquake or any other accident or event caused by nature that is unpredictable and occurs without any human intervention. A person or party, other than the policyholder, who is added to a policy so that they will also be covered by that policy. An insurance company’s licensed representative authorized to sell and service their insurance policies. This agent can be an independent individual representing more than one insurance company to obtain the best pricing for a client. He usually works on commission which is a percentage of the premium which is paid by the client and a service fee. Also usually paid on commission is the direct agent who works exclusively for one company and sells only that company’s product. The person or entity (e.g. corporation, trust, etc.) named in the policy as the recipient of insurance proceeds upon the death of the policy holder. An insurance against loss of damage resulting from or following the unlawful breaking and entering of designated premises. The discontinuance of an insurance policy before its normal expiration date, either by the insured or the insurance company. Written request by an insured for the insurance company to cover an incurred loss, usually submitted on the company's standard form. Person who has as interest in the policy and making a claim on the policy. Critical illness cover a health insurance policy with the benefits payable on diagnosis of one of a number of specified medical conditions. A compulsory excess is an amount that your your car insurance company has decided that you will have to pay towards each claim. 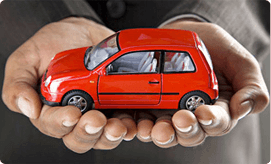 In car insurance, the figure will vary according to the age of the driver, the type of car, and even the kind of claim. For instance young drivers, who are considered to be high-risk customers, often have to pay much higher compulsory excesses than their older, more experienced counterparts. A cover note is a document issued in advance pending the issue of the policy, and is normally required if the policy cannot for some reason or other be issued straight away. Cover notes can also be issued during the course of negotiations to provide cover on a provisional basis. A cover note is not a stamped document but is honored, all the same , by all parties concerned. The amount payable, as stated in a an insurance policy, to the designated beneficiary (ies) upon the death of the insured. The amount paid is the face value, plus any riders that are applicable, less any outstanding loans. A provision whereby an insured may be required to pay part of a loss, the insurance being excess over the amount of the deductible. Inability to perform all or part of one's occupational duties because of an accident or illness: see Total Disability and Partial Disability. Agreed amount up to which no claim is paid under a policy. The proportionate relationship of an insurer's expenses to premium expressed as a percentage. A condition under which the benefit is not paid is referred to as exclusion. This is to avoid any misunderstanding. For example, for accidental policies, there is usually exclusion for suicide or self-inflicted injuries by the policy holder. A combustion accompanied by a flame or glow, which escapes its normal limits to cause damage. An occupation that has high risk for insurance purposes. Example: a window cleaner on high - rise buildings. A generic term applying to all types of insurance indemnifying or reimbursing for losses caused by bodily accident or sickness or for expenses of medical treatment necessitated by sickness or accidental bodily injury. The percentage of losses incurred to premiums earned. The person or company that holds an insurance policy i.e., a policy holder. Termination of an insurance contract because of non-payment of premiums. If there are non-forfeiture values, the policy lapses but may remain effective reduced paid-up insurance. The proportionate relationship of incurred losses to earned premiums expressed as a percentage. Underwriting the risk affecting an application based on factors such as the personal reputation and character of the applicant, business ethics or the existence of a criminal record. It concerns the intention or motivation behind the buying of a an insurance policy. Cases where a medical examination is not necessary. Large number of cases are straightforward and do not have any medical problems. For cases within limits on age and the amount on cover, a medical examination is not necessary. Someone nominated to act on your behalf. For example, traders often hold securities in a nominee name as this makes settlement easier. Paid-up Value is the reduced amount of sum assured paid by the Insurer, in case the Insured discontinues payment of premiums. This is applicable only when the Insured has paid the premiums in full for the first three years. Features or facts that can be observed or evaluated. This includes reports from agents, medical consultants or through investigations. This refers to the amount stated in the policy payable in the event of death or maturity. This is the contribution / payment that a policyholder makes to an insurance company to obtain insurance cover. He or she has a responsibility to ensure that the correct amount states is paid as and when it falls due as stated in the policy document. This process takes place when the claims examiner looks at the policy document and the evidence submitted to him or her and makes a decision to reject it. The unlawful taking of property of another: the term includes such crimes as burglary, larceny and robbery. The situation where the Sum Insured is less than the total value of property at risk. The principle of utmost good faith requires the applicant to disclose all material facts. Voluntary excess is something that the customer themselves chooses to pay in the event of a claim. In return for opting for a higher excess, the insurance provider will usually lower the premium paid. Bear in mind though that the voluntary excess will always be paid in addition to any compulsory excess. So if you have a compulsory excess of Rs. 1000, and then choose a voluntary excess of Rs. 800, you will have to pay a combined sum of Rs. 1800 towards any claim you might make.